Two teams Alpha United and Beta Rovers have each played 15 matches. The data shows how many goals the teams scored in their matches. There are six sets of data, three showing the results for Alpha United and three for Beta Rovers. 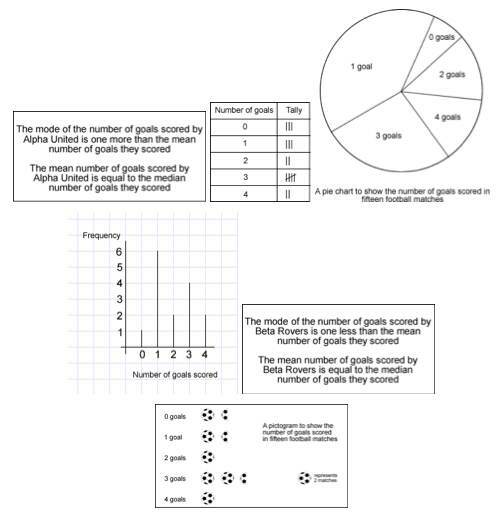 Match the data to the teams and explain your answers. This activity is adapted from the NRICH task of the same name with permission of the University of Cambridge. All rights reserved.